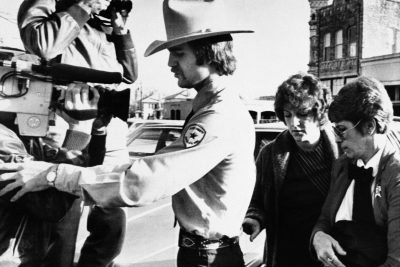 Decades after prosecutors convicted Genene Jones of killing a single infant, a Texas grand jury has indicted the former nurse on a second new charge of murder. Prosecutors hope to prevent Jones’ release from prison, which is scheduled for next year. 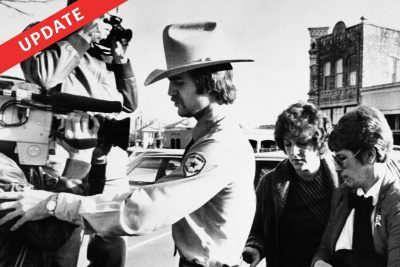 A San Antonio grand jury today brought a second new murder charge against former nurse Genene Jones, advancing prosecutors’ campaign to keep the suspected serial killer of babies behind bars for the rest of her life. The indictment — in a case that dates back more than three decades — charges Jones with killing 2-year-old Rosemary Vega, by injecting her with “a substance unknown.” In an interview this week, the child’s mother recalls watching Jones push a drug into her daughter’s IV line shortly before she went into cardiac arrest. Jones, now 66, is suspected of killing more than a dozen infants in the pediatric intensive care unit at San Antonio’s charity hospital during the early 1980s. But she was never charged with any of those deaths at the time — partly because it was expected that she’d never leave prison after receiving a 99-year sentence for murdering a child in Kerrville, a nearby town. That assumption proved faulty. Thanks to a Texas law aimed at reducing prison overcrowding, it became clear a few years ago that the state would be forced to release Jones in March 2018, after she’d served about one-third of her sentence. With that date fast approaching, San Antonio prosecutors last year launched a secret investigation to see if they could bring a new murder charge against Jones. It led to her May 25 indictment for murdering 11-month-old Joshua Sawyer in December 1981 with a massive overdose of the anti-seizure drug Dilantin. That charge — paired with a \$1 million appearance bond — seemed likely to keep Jones behind bars at least until her new trial, perhaps two years off. Indeed, the grand jury that indicted Jones for the death of Joshua Sawyer last month also heard tearful testimony that same day from Rosemary Vega’s mother, Rosemary Cantu, in anticipation of today’s charges. Jones has always insisted she was innocent of any crimes. A prison spokesman says she has instructed officials to decline requests for interviews. She has yet to receive a court-appointed lawyer. Rosemary Vega was admitted to Bexar County Hospital on September 13, 1981 for a relatively routine “de-banding” operation, required to treat a congenital heart defect. Her mom, Cantu, was 18 at the time. She worked in the housekeeping department at Bexar County Hospital, where her duties included cleaning the rooms when children left the pediatric ICU. She knew Genene Jones. Rosemary was then taken to the pediatric ICU to recover, where Genene Jones worked. During the 3-11 p.m. shift, under Jones’ care, Rosemary began experiencing breathing problems, was placed on a respirator, and suffered seizures. At 2:15 a.m., a surgery resident noticed the breathing machine had been feeding her too little oxygen. “…Ventilator setting had been altered by unknown source,” the doctor’s narrative report noted. Cantu said she had planned to make a career at the Bexar County Hospital. “I liked working with babies,” she said. But a short time after burying her daughter, she quit. “I went back, tried it and I couldn’t take it.” Cantu, now 54, has five surviving children and 20 grandchildren. Rosemary Vega’s demise, along with other post-surgical deaths, surprised and infuriated Trinkle, who demanded that something be done about care in the ICU. Suspicions about Jones had been so widespread that other nurses had begun calling her hours on duty “the Death Shift.” After a secret internal investigation, the hospital ultimately handled the problem by removing Jones — along with the six other licensed vocational nurses — under the pretext of upgrading the ICU to an all-RN staff. All — including Jones — were given a good recommendation. Jones went off to work in a pediatric clinic in Kerrville, where the death of a 15-month-old child named Chelsea Ann McClellan triggered criminal investigations in both Kerrville and San Antonio that generated international headlines. Jones was convicted of murder in the McClellan case and sentenced to 99 years; a two-year investigation in San Antonio resulted in only a single injury to a child charge, with a 60-year sentence, to run concurrently — but with the expectation that she’d spend the rest of her life behind bars. The effort to bring new murder charges in San Antonio began in earnest last December, leading to the May 25 grand jury session that produced Jones’ indictment for the Sawyer murder. Rosemary Cantu was among three mothers who testified before the grand jury that day. Each left the grand-jury room in tears. Left to deliberate on their own after prosecutors left the room, the grand jurors took less than two minutes to hand down the Sawyer indictment. They took less than five more minutes to set a \$1 million appearance bond. As the grand jurors exited the courthouse meeting room, most of them were themselves in tears, and they hugged the three waiting mothers.